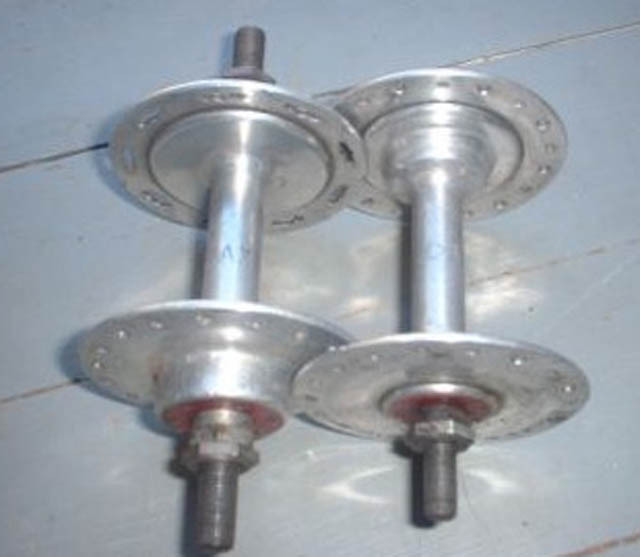 Post-war, the hub design with oversize axles and special bearings was introduced, and in the basic sense, only changed in outward appearrance until the end of production. 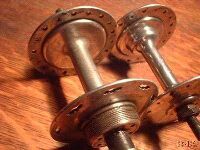 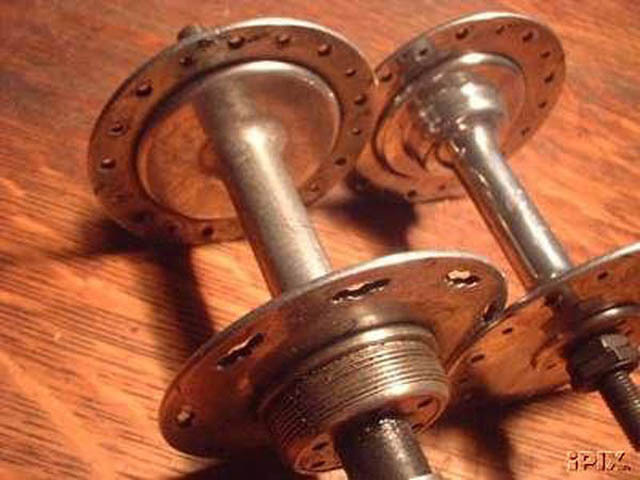 These alloy 3-piece hubs were the earliest hubs produced under the Maxi-Car name, prior to the development of the one-piece alloy hubshell that was to become the dominant design in 1950. 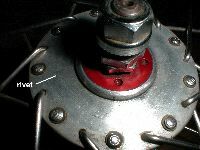 On the hubs above, you can just note the slight extra step where the outer face of the hub flange meets the lip on the hub barrel, which is distinctive between this and the first 1-piece designs, which retained the look of the bulge on the inner face of the hub flange between the bearing housing and spoke holes. 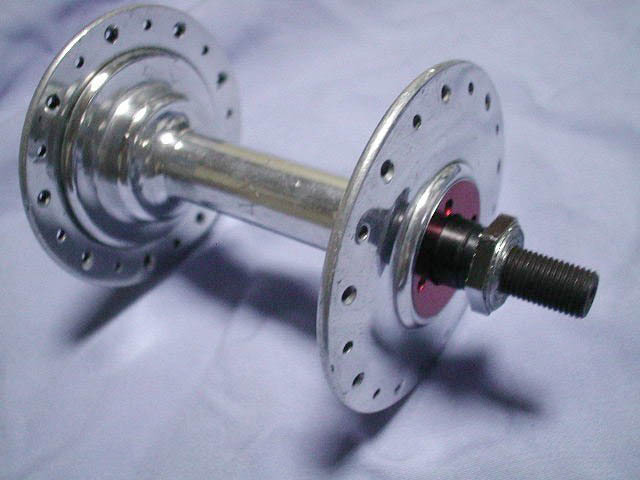 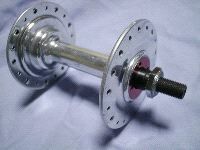 Tandem hubs were produced with wider dropout (115mm at first, but later 110mm in front, and 135mm in the rear) and flange spacing, and oversize solid axles. 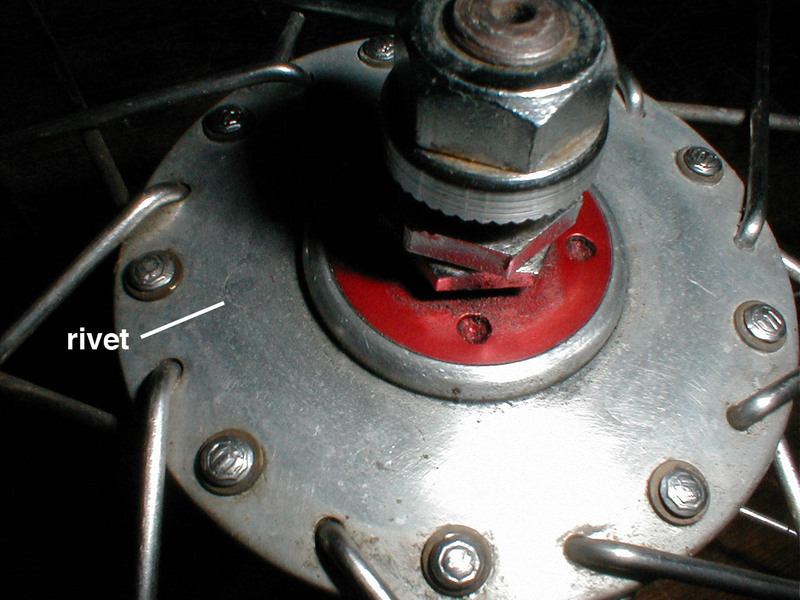 In this detail shot, you can just see the outline of several of the rivets which attached the flanges to the hub barrel.